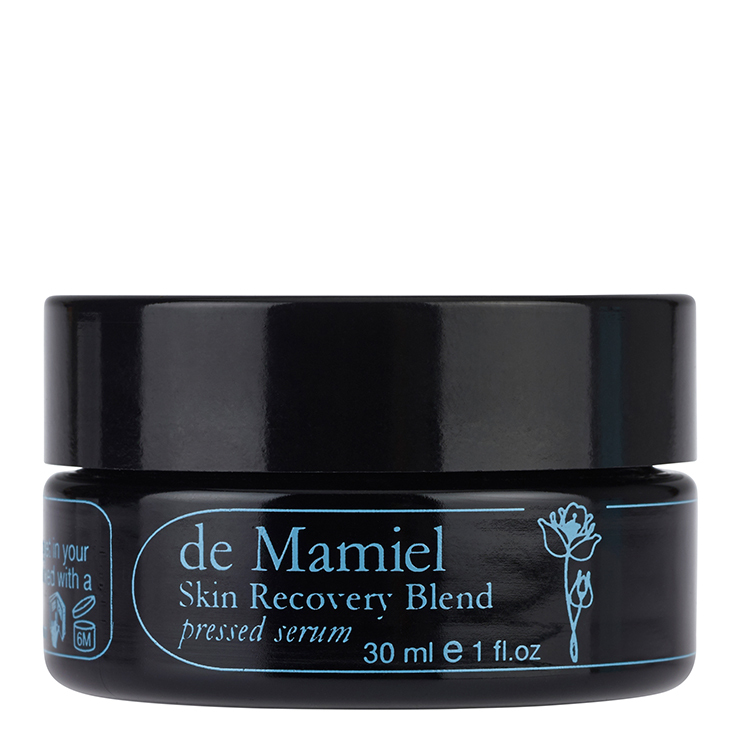 Rescue skin from feelings of dryness, irritation, and imbalance with de Mamiel Skin Recovery Blend. 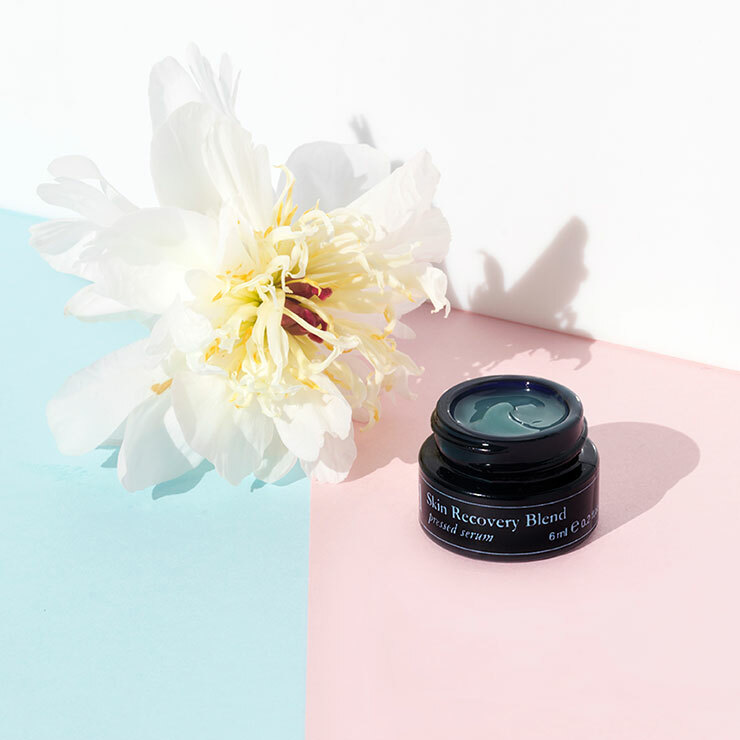 Blue essential oils – blue cypress, cape chamomile, German chamomile, blue tansy, and yarrow – give this beautiful balm its vibrant hue and provide a feel of luxe replenishment to upset skin. Malachite, a semiprecious stone, lends a strengthened and protective feel to skin, while moisturizing oils of babassu, tamanu, and kukui bestow a feeling of rich hydration and give a calm and even look to skin. Perfect for offering a cooling and soothing sensation to the complexion while visibly improving redness. Apply the skin repair face balm to clean skin morning and night, or more as desired, to moisturize and calm feelings of irritation. For extra moisturization, mix with your favorite facial oil. May be applied to dry patches anywhere on the body and is also designed for use on eczema and sun exposed skin. 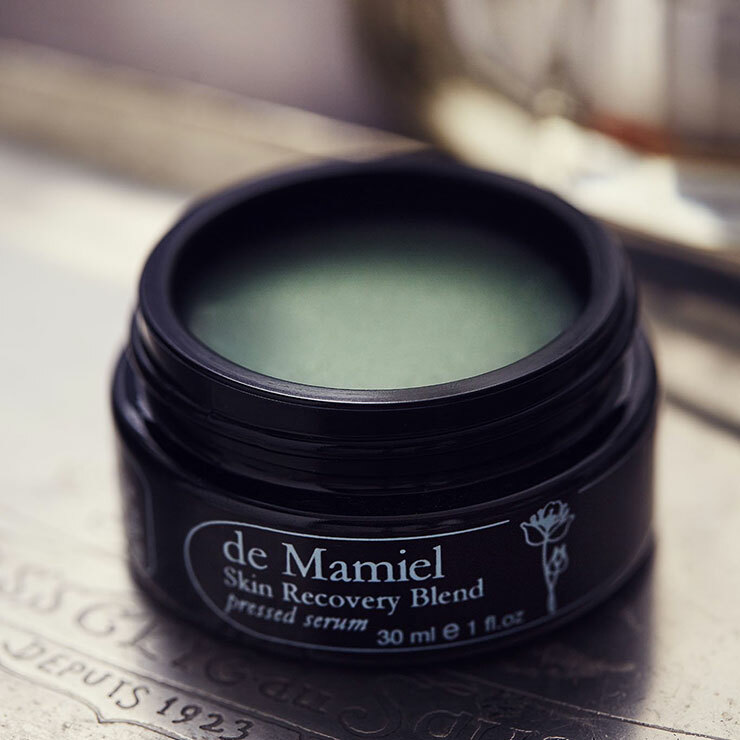 The texture, scent, color and feeling of this balm is wonderful and soothing. Comparison to blue cocoon is undeniable as it looks and smells similar- i find this to be more herbal, complex and interesting that the BC by ML. It gives a light and effective sensation on skin with a slight cooling, almost effervescent quality. Any complaint would be the price of the full size, it would be awesome if offered for purchase in the travel size. Despite its similar look and scent to blue cocoon, i think this ingredient list reads superior. 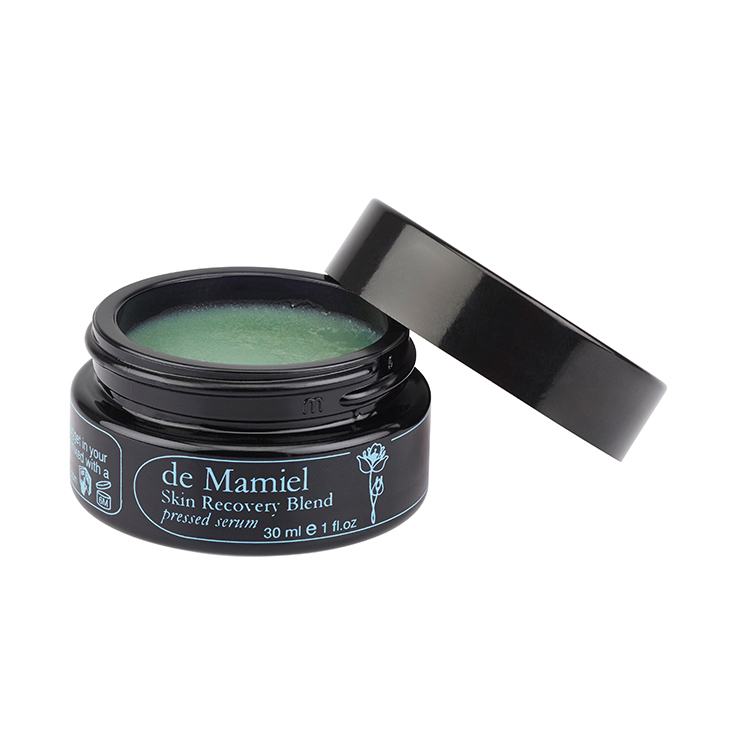 The anchor sleep balm by de mamiel is also lovely. I love May Lindstrom's version of this the Blue Cocoon and was looking forward to trying this but the smell is just so overpowering that I couldn't bring myself to put it on my face so I applied it to the back of my hands. But I just hated the smell...sorry. It is probably the blue tansy in it, maybe there is more of it in this versus the Blue Cocoon.